How Oslo Became The Eco-capital Of Europe In 2019? As per the IPCC Report published in October 2018, cities require to reduce their GHG emissions by 45% before 2030 and attain net zero emissions by 2075. Today, the world is fighting the biggest war against climate change. 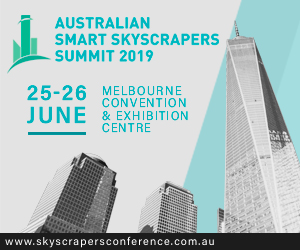 During this critical period, smart cities are seen as hotspots of opportunities to reduce the environmental burden on earth. From small towns to megacities everybody is committed to addressing climate change. In the midst, global networks like the C40 network are playing a vital role in supporting, encouraging and inspiring cities to collaborate effectively, share knowledge and stimulate measurable and sustainable action on climate change. C40 is a network of 40 cities that connect the 94 world’s megacities to take bold action against climate change. This network represents over 700 million citizens, one-quarter of the global economy and mayors of the C40 cities that have pledged to deliver on the most ambitious goals of the Paris Agreement at the local level. Until now, C40 has risen as one of the most effective climate leadership groups in improving the scale and speed of climate action. Today, approximately 10,000 climate change initiatives are taking place in the C40 cities with more than 78% of them reported in 2015 aiming at augmentation. At present, C40 cities are committed to responding to the Paris Agreement. As a result, C40 cities have together launched ‘Deadline 2020 – How cities will get the job done’ which outlines the action required by the C40 cities to fulfil the aspirations of the Paris Agreement. For this, cities need to remain within a 1.5 ̊C meaning C40 cities need reduction from over 5 tCO2e per capita today to about 2.9 tCO2e per capita by 2030. Looking at the climate-driven initiatives progressing at full speed, we are aiming at unveiling climate action plans of the 5 most inspiring cities of the C40 network – each one belonging to different continents of the globe. Today, out of these, we have hand-picked Oslo which is one of the leading cities in the march. Though the smart city is comparatively small, its efforts are huge! Oslo, the capital of Norway is aiming to cut city emissions by 36% by 2020 and by 50% as soon as possible after 2020. By 2030, it envisions to reduce the emissions by as much as 95%. As the Eco Capital of Europe in 2019, it hopes to set an example for other smart cities. 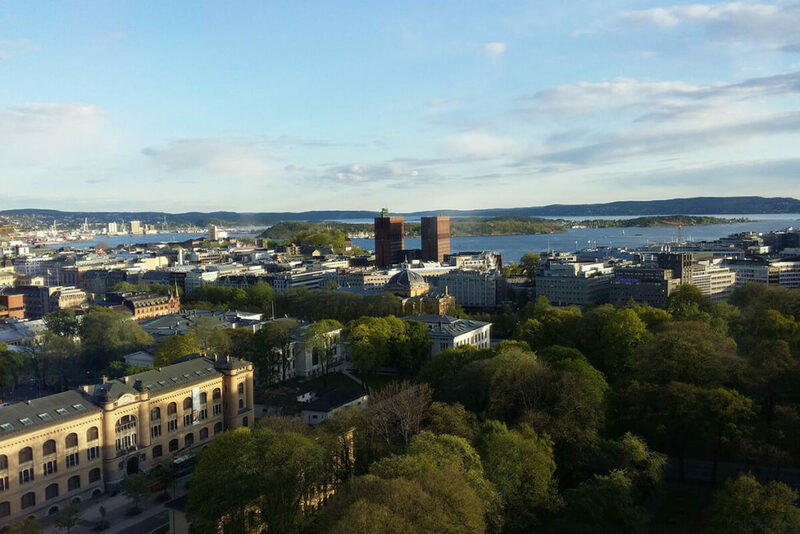 To reach the targets successfully, Oslo is showing its efforts and creating opportunities in areas including electric vehicles, smart grid, green buildings, renewable fuels, EV manufacturing, EV charging equipment and services and circular economy. The city has made a commitment to count carbon just like the way money is counted. To attain this, the Oslo Climate and Energy Strategy has integrated climate budgets into the government’s budgeting process. The same way as financial budgets report maximum expenditure for a year, climate budgets propose a maximum emissions volume. Until today, the smart city has developed climate budgets up to 2020 with the first one executed in 2017. The climate budget is improved each year and sector-specific performance data is published on a quarterly basis. This plays an important role in allocating funds for the approaching year. The municipality also has a regular review of progress that enables amendments to budgets so that investments are carried out in the most effective manner. Furthermore, the city’s climate budget provides a clear administrative structure. It provides oversight and governance on climate change within the city. The budget describes the duties and actions of each department. And as part of the implementation process, every department is encouraged to propose measures for the upcoming climate budget. They are also responsible for accomplishing the defined goals with the funding they receive. The city of Oslo is working towards reducing 352,000 tonnes of Co2e from the transportation sector. It aims at the reduction by investing in urban development while making walking, cycling, public transport and electric vehicles more attractive. For instance, the city government introduced the road user payment system like toll ring. As a part of the climate budget in 2017, 93% of the revenue was generated from the toll ring. This revenue will be reinvested in public transport up to 2036. Road tolls in the city have significantly cut the traffic with prices increased year on year from €3.2 ($3.60) in 2016 to €5.6 in 2019 for a private car. Whereas electric vehicles are exempt from the tolls promoting the usage of the fossil fuel-free cars. The city’s commitment towards encouraging electric vehicles dates back to more than a decade. 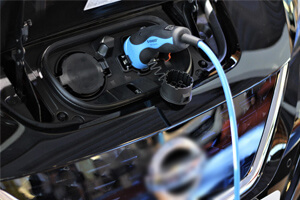 In 2014, City Council successfully established more than 900 on-street charging points for electric vehicles. In 2013, an average of 5.6% of new vehicles sold were fully electric with March 2014 being the record month when market share rose to 20.3%. There are electric buses, ferries, and trams, all operating on renewable hydroelectric power. Recently, Norwegian Road Federation revealed that Norway has hit a world record, with one-third of new cars sold in a year being 100% electric. The country is using tax breaks for electric cars in the effort to end fossil-fuel car use by 2025. Further plans of Oslo are to ban car use on the major streets of the city while paving more way for pedestrians and cyclists. According to sources, reducing private cars is one of the biggest challenges the city is seeking to tackle. While around 60% of the emissions come from transport, 25% of it comes from construction vehicles and machinery. Hence, to reduce the emissions here as well, Oslo initiated the development of fossil fuel-free construction equipment. The city is on the road to curbing emissions by 50% by 2020. It is running four pilot projects to test fossil fuel-free demolition sites, fossil fuel-free construction sites, prototype electric vehicles and onsite locally generated renewable energy. The results of the project will be used as guidelines for the public procurement of the vehicles and machinery. The pilot projects are capable of curbing direct emissions from construction by 400 tons of CO2. Assorting waste in Oslo began in 1997 when paper and drink cartons were collected by the municipality after separated by households. Glass and metal was separately sent by the households to 700 local collection centres in the city. Food waste and plastic assortment began in 2009 and by 2012 it became a practice of every household in the city. Gradually, people also started reducing the amount of food waste produced. The waste management strategy of Oslo is simple but effective. Since the beginning, the city did not make any logistical changes to its legacy waste management system. Instead, it was upgraded with innovative technologies. Now, the plastic waste is recycled whereas the food waste is supplied to a biological treatment plant with a capacity of 50,000 tons a year. This produces biogas and biofertilizer that is sufficient to run about 150 buses and deliver about 100 medium-sized farms with biofertilizer every year. The city of Oslo is driving change in the building sector as well. Buildings in the city account for 20% of the total emissions. To curb this the city developing strategies that will lead to banning fossil fuel for the heating purpose by 2020. At present, fossil fuels have nearly been eliminated from Oslo’s district heating system. Today, 99% of the energy comes from recovering heat from the sewer system. Additionally, the smart city is also working on demonstrating the feasibility to construct climate-neutral buildings. According to waste management estimates, if reuse, recycling, sharing and investing in carbon capture and storage technologies (to be applied to waste-to-energy plants) is increased, the city can avoid 200,000 additional tonnes of CO2 emissions. Although Oslo’s efforts towards climate change may not have a visible impact on the global climate, it is sure to inspire other cities to take the lead. There is much more to explore on what smart cities can do to avoid climate catastrophes. We will come to it along with another C40 city driving inspiring change!